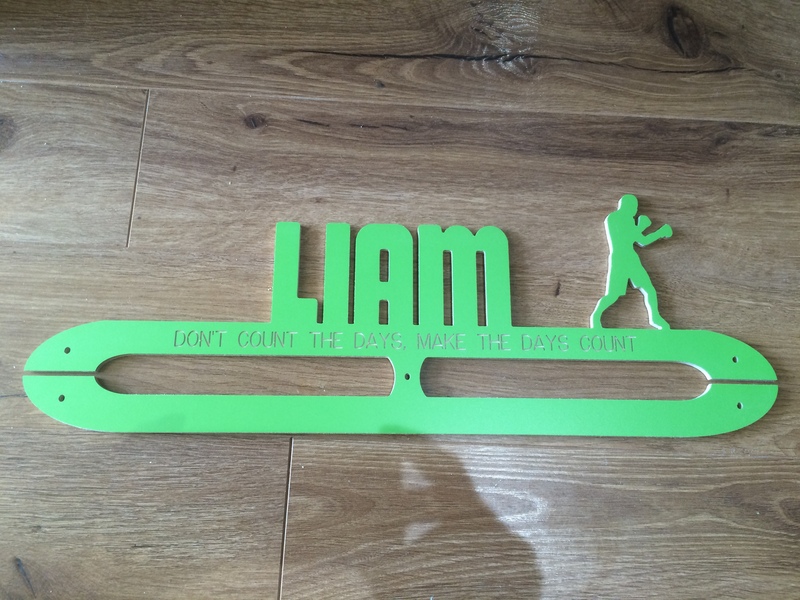 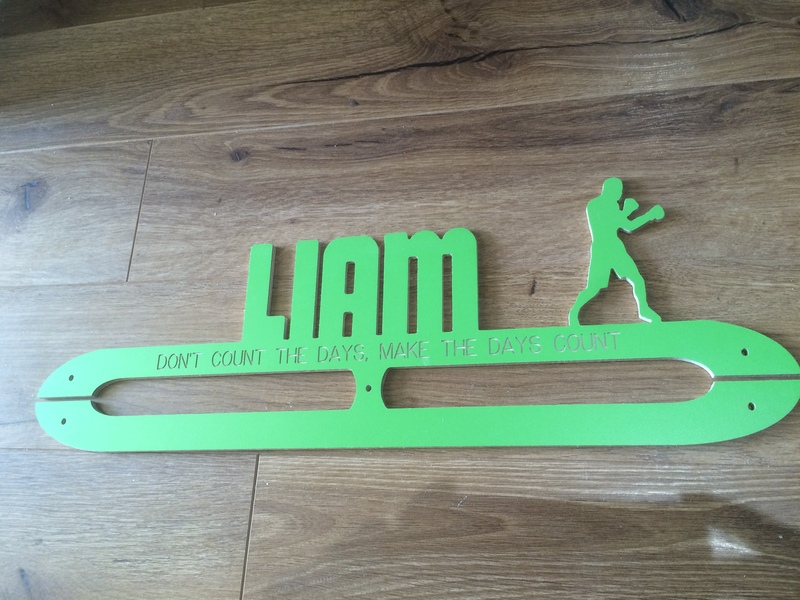 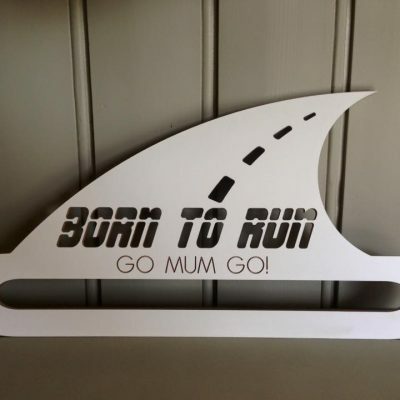 Personalised Boxing medal holder. 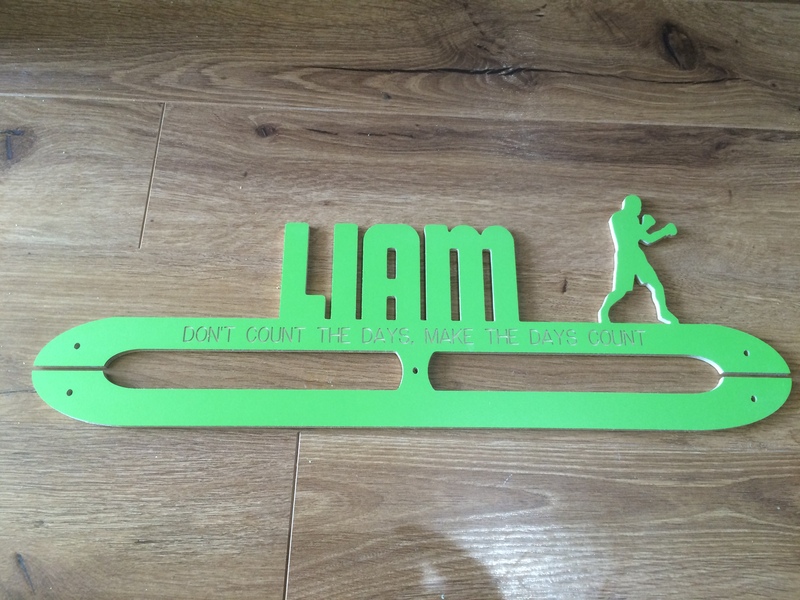 This medal holder holds approx. 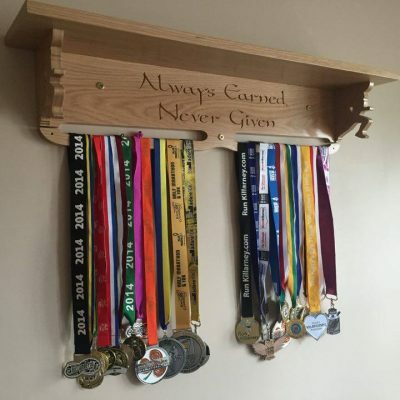 35-40 medals. 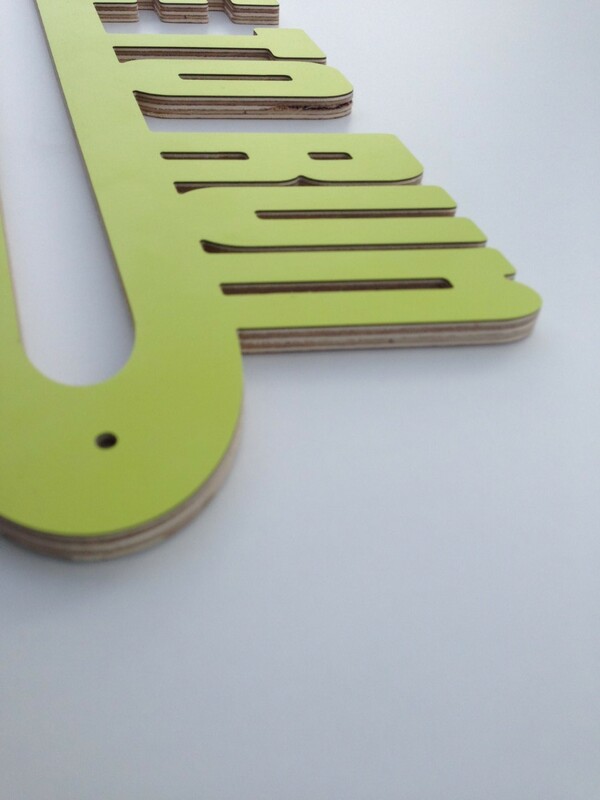 Made from 8mm melamine birch plywood. 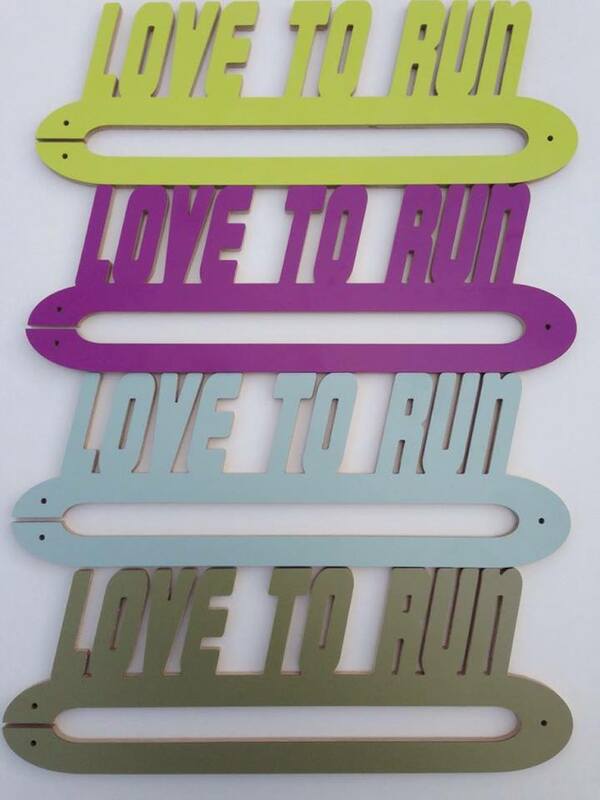 Available in 4 vibrant colours Purple, Lime Green, Duck Egg Blue and Olive Green. 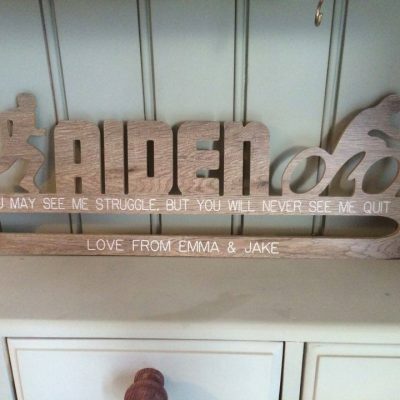 An Ideal gift for a special occasion.